If you have a new hire moving to Sweden to fill a position in your company, it’s smart to advise them of everything they need to know, in an organized fashion, so their relocation runs smoothly from start to finish. Guiding the relocation process with knowledge and tools can make all the difference. Most helpful is for your transfer to understand fully what they are signing up for as a new citizen in Sweden. For this reason, inform them about what life is like in Sweden so they understand the ways it will be different from their life in their home country. 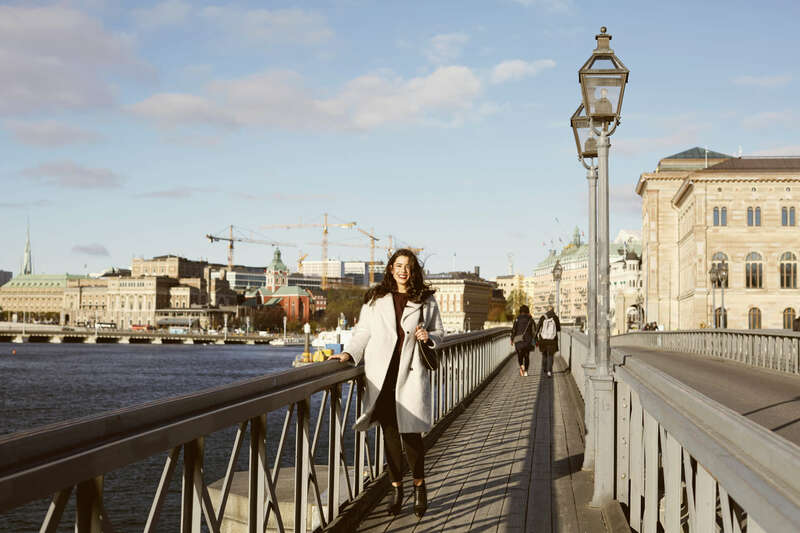 Here are some tips we think will be helpful for HR and your new hire to understand the relocation process and Sweden itself. Swedes tend to be less transparent with their feelings than some other nationalities. A Swedish boss might see what an employee is doing, they will note the dress, the tardiness, etc. but they will not say anything. At best they will hint. Make sure your talent learns the unwritten rules of their Swedish office ahead of time. Sweden is a consensus culture. The consensus is something that is highly valued. Swedes tend to involve everyone in decision making. To listen to what everyone's opinions are before the agreement is reached is something that is considered ideal. A new expat needs to remember this during meetings and unfortunately, they may find this taxing. Swedes, at times, can be awkwardly silent. They are comfortable during lulls in conversations where people from other countries might rush to fill the void. Small talk is not something that is considered the norm in Sweden. If something important needs to be said say it. If not, don’t. It is good for an expat to learn these unique styles of communication so their feelings are not hurt. For more information on this subject you can review our online program Professional Inspiration which teaches new expats everything they need to know about working and living in Sweden. 3. Obtain work permits. Once your organization has determined that relocating personnel is necessary to achieve business objectives, the first hurdle is obtaining work apermits. Working with local relocation consultants will give you access to their experience and expertise in Swedish immigration law. This guidance can help design the conversations you'll need to have with involved leadership when briefing on issues like permits, visas, taxation and, compliance. Work cannot be done with a business visa in Sweden a work permit must be in place first. We see companies that, get desperate and want to bring people here or send them to other locations without the proper legal compliance. This is very risky for both the company and employee but most importantly the employee as they could face jail charges. Review the Swedish home finding process with your transfer before you begin the search. Let them know the order of events that need to take place during this process. This will help them and you stay as calm as possible during the process. Have a strategy for your search. Help your expat list out their top priorities for a home and advise them they will have to act fast once they find something that is acceptable, due to high demand for each property. Discuss their budget and show your transfer You will need to be in close communication with your transfer during this process. Let them know that, once an apartment is found, the lease will need to be signed immediately due to high demand. Every minute counts so be prepared to act fast. Plan to sign the lease on your employee’s behalf. Personal leases pay a premium and are harder to get. Companies with good brand names pay less. 5. Inform your new hire of everything locally Swedish they need to know including: immigration laws, neighborhoods, taxes, health care, work permits, schools, and more. Looking at streets and neighborhoods, and reading guidebooks cannot compare to working with local experts who are able to help peel back the layers of the Swedish system and really drill down deep to the details they need to know in order to feel at home. One of the most beneficial ways for your new hire to learn about Sweden is through a mentor family. Have someone in your office willing to volunteer for this job. 6. Don’t forget about their Spouse & family. While it is difficult to quantify the ROI on spending more time and money to support new hire spouses, spousal support is something that can make or break your expat’s success. In Sweden, it is necessary for most families to have dual income earners. This is needed due to the high cost of housing, hefty taxes and living in general. In order for your new hire to put their full concentration into their new work projects, it is important to make sure the rest of the family is supported with the tools they need to create their new life in Sweden along with your new employee.